CHEVY VEHICLES. Chevrolet trucks have a history of being among the most high-performance pickup vehicles in the industry. Chevrolet is a brand of automobiles under General Motors (GM) in the United States of America. In the world of automobiles, few brands have enjoyed as much admiration and popularity as the Chevrolet (also nicknamed fondly as Chevy) from automobile owners worldwide. The classic ‘bow-tie’ logo used by the brand is considered to be a symbol of style and class in the world of cars. Chevrolet Motors was founded in 1911 by two persons, Louis Chevrolet and William C. Durant. Louis was a race car driver, and Durant was the founder of GM, who left the company in 1910. Since its inception, Chevrolet has made a mark for its innovative and stylish car designs. The luxurious and spacious Impala was launched in 1958 and received satisfactory feedbacks from many owners. The Corvair, produced in 1959, was another grand success for Chevrolet that lasted for many years. Instead of following the usual vehicle mechanics, Chevrolet revolutionized the automobile industry by installing the compact aluminum engine in the back, with enough space around it to store the spare tire. This saved a lot of room under the hood and the inside of the car, allowing for more effective usage of available space. The present Chevrolet line up features cars for all kinds of users. Compacts like Aveo, Prizm, Cobalt, Cavalier, and Heritage High Roof (HHR) serve small families effectively and are great for a shopping trip or for driving on the busy city streets, where the turning radius of a car is a cause for concern. Luxury coupes like the Monte Carlo have won the hearts of customers looking for a luxurious driving solution. The beauty, comfort and smooth handling offered by these vehicles have made these a status symbol among many affluent customers. Sports car drivers need not be disappointed either, for the Corvette was launched keeping them in mind. This stylish, 2-door coupe is perfect for customers who plan to hit the inter-state highways for a long drive. The 6-speed automatic transmission introduced in 2006 has further improved the performance of the car. 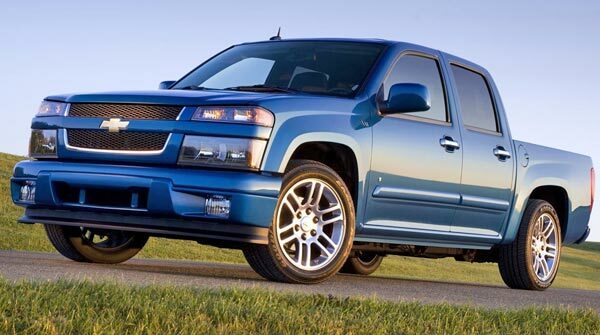 Chevrolet trucks have a history of being among the most high-performance pickup vehicles in the industry. Ironically enough, this reputation has its downsides. For nearly a decade before 2006, Chevrolet trucks topped the list the most stolen brands of pickup vehicles in the US state of Texas, according to police records there. There can hardly be any greater evidence of the sheer popularity enjoyed by these vehicles. Chevrolet remains one of the most popular brands of automobiles in the world. According to some recent surveys, Chevrolet vehicles constitute roughly one-tenth of all automobile sold in the United States every year. The classy and useful design and the superior performance offered by these vehicles will surely rule the world of automobiles for a long time to come.